Well I might have known you'd have something cynical to say about it but can you enlighten me as to how Croydon has "defiantly bucked the trend in bus passenger numbers"? I'm in Croydon quite a bit and I've seen nothing but a steady decline in bus usage over recent years, no doubt LO and Tramlink improvements are significant factors, but I'd really like to know where this myth has come from because I'm pretty sure that's exactly what it is. There was a map published of all 32 boroughs with each one having a percentage with a minus or plus figure and Croydon had a plus figure - I believe this is what busaholic was referring to. but I'd really like to know where this myth has come from because I'm pretty sure that's exactly what it is. That's easy to answer. It actually comes from Map 1 on the Central London Bus Review consultation. It shows the *borough* of Croydon, so more than just Central Croydon, as having a 8% improvement in bus capacity utilisation. Now that is NOT the same as an increase in demand. You can have the same number of people but travelling on fewer buses and see an increase in utilisation. I suspect the reality is that there has been some modest growth on some corridors while TfL have trimmed the number of buses elsewhere in the borough thus improving the overall utilisation. Croydon has also been referenced by Heidi Alexander, Deputy Mayor for Transport as somewhere worthy of better bus services. I'm sure the cost of this will soon be offset by a proposal for the 130/466 and 312. It was. Nothing to do with my own observations, which have been somewhat less than extensive by necessity over the last few years. Also no Sunday service on the revised 434. 434 already has a Sunday service - it was added at contract renewal in 2013. The 434 could probably use some of the SEs off the 100 if it needs mroe buses. 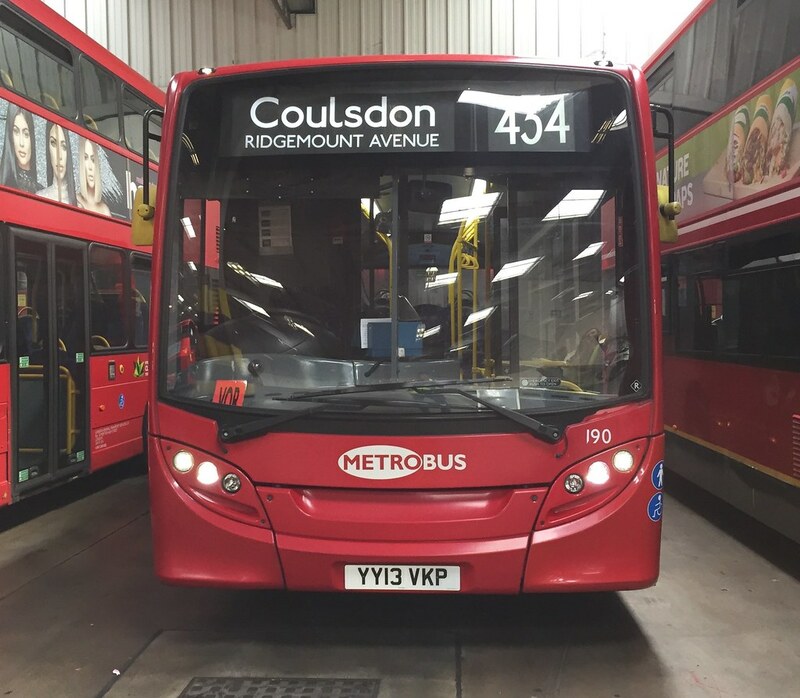 The 434's current buses have just been refurbished so I don't think they will take any buses from the 100 and doesn't make sense having one dual door bus among a few single door ones. Likely what will happen is refurb float SEN10 ends up staying at C rather than eventually moving to MB and becoming the extra bus for the 434. I don't mind SEN10, but I'd rather that went to MB personally with an E20D coming in its place, probably 188 could be released from the 138 allocation? 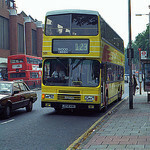 The R11 uses Dual door buses alongside Single door buses, baring in mind SEN21 is now gone so is short of allocated buses. PD ran the 291 & 386 using Single Door Pointer Darts and Dual door Enviro 200s from 2008-2018 and were intermixed so wouldn’t be an issue. So there wouldn’t be an issue using a dual door bus on the 434, this creates more flexibility for the 434 because currently it is the only route at C using 8.9m buses and MB have 10 routes a few which can take longer snd some which cannot take anything longer. I imagine buses from the 100 would be used if the route can take dual door buses. SEN10 is for MB so would go there. The R11 is different in that it was short even before SEN21 caught fire as SEN29 was transferred away initially as a refurb float for PM and that MB have long been very relaxed about their allocations. In comparison, C are a lot stricter in terms of single decker allocations. From a cost point of view, it surely would be cheaper to leave SEN10 where it is given it would only need Cane Hill added as an insert and the fact SEN10 is already at C. I get that SEN10 was earmarked for the R5/R10 but so was SEN38 before it was then changed to SEN10 so it could be a possibility that plans have changed yet again. Furthermore, the 434’s buses have just been refurbished and the consultation mentions nothing about bigger buses being used so I can’t see any 100 buses moving to it at all personally but I could easily be wrong. Not really. The route hasn’t changed yet and its a refurb float. If extra buses are required then they probably could use SEs from the 100 alongside what currently operates. I didn’t mention replacing 189-192. Thanks for sharing this. Would be interesting to see where C get two extra buses from should the PVR increase to 5, hopefully nothing from dealer stock.